Psoriatic Arthritis: Is There a New Treatment Paradigm? To ensure that all Canadians have access to those medications, Arthritis Consumer Experts (ACE) created the JointHealth™ Report Card on Provincial Formulary Reimbursements for Biologic Response Modifiers in 2007. The report card ranks publicly funded medication formularies based on the number of medically necessary biologic arthritis medications they list. It serves as a way to keep Canadians aware of how well their province compares to the rest of Canada in its cost coverage of medications. Over the years, the Report Card has expanded to reflect the growth in the number of available biologics, as well as the number of diseases they treat. In 2007, there were only six medications and three disease types that were under our	scrutiny. Now, each month we examine formularies to see which of eleven biologics for seven forms of inflammatory arthritis the provinces provide coverage for. With the emergence of new treatments, including subsequent entry biologics (or SEBs), the report card will be expanded further. The approval of these biologics is reflected in the Report Card included with this JointHealth™ monthly. Provincial formularies have begun their review process to determine each medication’s placement on their public drug plans. As decisions are made, ACE will update its members, subscribers, and website visitors online through JointHealth™ expresses or click here. Because no two people with an inflammatory (autoimmune) form of arthritis respond to the same medication in the same way—and many do not respond nearly well enough or at all—there is a need for more medications to treat this serious group of diseases. The good news is that research into new treatment options is ongoing. Here we discuss two not yet available “small molecule” medications that work in a whole new way, plus a biologic that has been newly approved by Health Canada. To help us gain a better understanding of these new and upcoming medications, we spoke with Dr. Kam Shojania, a research scientist at the Arthritis Research Centre of Canada (ARC) and chair of Arthritis Consumer Experts’ advisory board. Tofacitinib citrate (Xeljanz®) belongs to the class of medications called Janus kinase (JAK) inhibitors. According to Dr. Shojania, it specifically targets JAK1 and JAK3 of the Janus family of kinases (enzymes), to interfere with the inflammatory process in rheumatoid arthritis that leads to joint damage. This disease modifying anti-rheumatic drug (DMARD) is not a biologic, which targets inflammation from the outside of cells. Instead it prevents an inflammatory immune response from within cells. Tofacitinib citrate is taken by tablet twice a day to treat rheumatoid arthritis. Investigation is also underway into its effectiveness in psoriasis and other types of autoimmune arthritis. The U.S. Food and Drug Administration (FDA) approved the medication in November 2012, but the European Medicines Agency (EMA) did not approve it due to safety concerns. It is currently under review by Health Canada. It should be noted, however, that infection rates from tofacitinib citrate were similar to those seen in other biologics used to treat rheumatoid arthritis. In a study comparing tofacitinib citrate to adalimumab (a biologic), the effectiveness was shown to be similar. Apremilast (Otezla®) is another oral, small-molecule compound, taken as two tablets twice a day. It has been shown to reduce the signs and symptoms of psoriatic arthritis in multiple Phase III clinical trials. 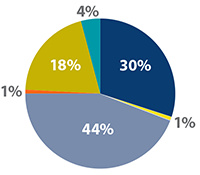 Phase II trials have shown effectiveness in treating enthesitis and dactylitis, which are associated with spondyloarthropathy. Dr. Shojania explained that the medication works by inhibiting the action of phosphodiesterase-4 (PDE4). PDE4 is an enzyme found in immune cells. In addition to psoriatic arthritis, early studies (phase II) into apremilast for the treatment of Behçet’s disease are looking positive. Dr. Shojania described Behçet’s disease as an “orphan disease” with serious symptoms that include mouth and vaginal ulcers or scrotal ulcers, very painful skin rash, joint swelling, brain inflammation, and dilation of blood vessels (aneurysms). In 2013, the medication’s manufacturer filed for approval of apremilast for the treatment of psoriatic arthritis to the U.S Food and Drug Administration (FDA). A decision is expected in March of this year. Typically following an approval by the FDA for a medication, pharmaceutical companies will make a submission to Health Canada. Ustekinumab (Stelara®) is a biological monoclonal antibody. (Dr. Shojania provided a clue to help know if a medication is an antibody: it always has “-mab” on the end of its name.) It works by targeting interleukin-12 (IL-12) and IL-23, proteins thought to be involved in psoriatic arthritis (PsA). After two subcutaneous injections at weeks 0 and 4, it is then administered every 12 weeks for the treatment of psoriatic arthritis. Dr. Shojania noted the convenience of only needing to take the medication once every three months. Ustekinumab has been approved in Canada for the treatment of psoriasis for several years. In September 2013, the U.S. FDA approved it for the treatment of active psoriatic arthritis. This medication was recently approved by Health Canada (January 2014), for use alone or in combination with methotrexate to treat chronic moderately to severely active PsA in adults. A study presented at the ACR conference last fall showed promise for ustekinumab as a treatment for ankylosing spondylitis, as well. On January 15 of this year, two subsequent entry biologics (SEBs) received Notices of Compliance from Health Canada. Subsequent entry biologics (SEBs) describe a group of medications that are similar, but not identical, to innovator biologics such as etanercept (Enbrel®), infliximab (Remicade®), and adalimumab (Humira®). Remsima™ and Inflectra™ are the names of the newly approved SEBs. Both are are similar to infliximab and are used for the treatment of rheumatoid arthritis. Health Canada defines SEBs as a “biologic drug that enters the market subsequent to a version previously authorized in Canada, and with demonstrated similarity to a reference biologic drug.” While Health Canada uses the term “subsequent entry biologic,” the term ‘biosimilar’ is also used. Medications made with small, chemically manufactured molecules (e.g. acetylsalicylic acid, the active ingredient in aspirin) are made through a relatively simple process. After a company’s patent for a particular medication, like aspirin, expires, other companies can easily make exact copies of the active ingredient of the brand name version. These are known as generics. Biologics, however, are large and complex molecules made in a process that starts with living cells. It is impossible to make an exact copy of a biologic drug because the process is proprietary to (owned by) the original manufacturer. After the patent expires, different companies are only able to make “similar” versions of the original biologic. Even minor differences from the originator biologic change the way a SEB acts in the body. This distinction is important to physicians and consumers/patients since there is no guarantee a SEB will be equally effective or be as safe as its innovator reference product. Generic drugs are pharmaceuticals; SEBs are biologics. Therefore, there are significant differences in approval processes. 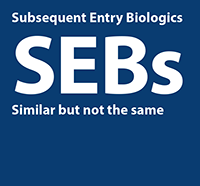 Unlike generics, approval of a SEB is not a declaration of pharmaceutical or therapeutic equivalence to the originator biologic because the SEB does not have the same active ingredient. Health Canada acknowledges that SEBs are not equivalent to their innovator products, so are not generic medications that can be substituted, without question, for the original. This means that SEBs need to go through a review process with Health Canada as rigorous as it would be for innovator products. Despite Health Canada’s recognition of this, individual provinces can still decide whether a SEB can be covered as though it were interchangeable with its reference medication. This opens up the possibility that a SEB could replace the more expensive original biologic that you had previously been prescribed. “Interchangeability” refers to the ability to switch from one medication to another considered to be its therapeutic equal. This substitution of drugs is often done with generics. However, SEBs are not identical copies or “generics” of the original biologic drug; small differences between products can cause unexpected outcomes. Interchangeability raises issues about a patient’s immune system and how it reacts to medications. Evidence in the European market has found a person prescribed a SEB may have a different immune reaction compared to the original medication and vice versa. Since the introduction of biologic medications to treat rheumatoid arthritis and other forms of autoimmune arthritis, ACE has made it part of its mandate to provide information on the safety and quality of biologics, advocate for policies that keep medical decisions between patients and physicians, and seek solutions that keep biologic medications affordable and accessible, while never compromising on patient safety. 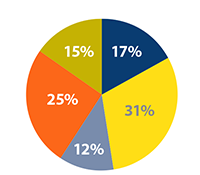 ACE recently conducted a survey of Alberta, British Columbia, and Ontario residents to find out how aware they were about SEBs and which issues were most important. The surveys determined that consumers believe the primary concern for SEB regulation is patient safety and that SEBs should receive the same review, approval, and listing process by provincial formularies as any other new medication would receive. Writing to the Minister of Health in your province. Writing a letter to the editor of your local and national newspapers. Writing a letter to your elected provincial representative. In this way, you can raise awareness about the issues surrounding SEBs and let key decision makers know your concerns. What do you think should be the primary concern of SEB regulation in Canada? What is the most important consideration when choosing a SEB as a treatment option? The American College of Rheumatology (ACR) and the Association of Rheumatology Health Professionals (ARHP) meet once a year, bringing researchers from around the world together so they may share information and discuss the latest science, research, and treatments in the field of rheumatology. Innovative sessions, groundbreaking science, education that fills knowledge and practice gaps, and hands-on skills training make up some of the activities of the event. Identifying developments in disease diagnosis and treatments. Describing potential issues in delivery of care and sharing ideas for solutions. Using new research data to improve the quality of patient care. Encouraging research that leads to new treatment protocols. Arthritis Consumer Experts was at the most recent event, held in October 2013, to represent people living with arthritis and to learn about the latest research findings so we could share them with you. Of particular interest to consumers were two presentations: One was about the current state of osteoarthritis treatment and ways to improve outcomes in the future. The other discussed recent advances in psoriatic arthritis research and how they could be used to effectively identify, diagnose, and treat the disease to improve patients’ quality of life and function. In her presentation, Dr. Joanne M. Jordan of the Thurston Arthritis Research Center at the University of North Carolina, explained current treatment and management approaches to osteoarthritis (OA) and explored the direction for the future of OA treatment. Osteoarthritis is the single most common form of arthritis. And the numbers are rising due to an aging population, inactivity, and rampant obesity—according to the Centers for Disease Control and Prevention (CDC), 35.7% of U.S. adults are obese. Often people have more than one disease or co-occurring condition. For example, between 15 and 46 percent of people living with OA also have diabetes. Eighty-eight percent of people with OA have another chronic condition. Osteoarthritis is more complex than traditionally thought, and current treatment approaches reflect a dated understanding of the disease. For instance, OA is not just caused by “wear and tear”; metabolic and genetic factors also play a role. Also, OA is too easily dismissed as an unavoidable side effect of aging. In fact, certain lifestyle changes can slow the progression of OA, or prevent it altogether. Dr. Jordan pointed out some of the flaws in the current treatment model. Namely, no treatment occurs until the onset of symptoms. Furthermore, when treatment starts, it is inconsistent, unstructured, poorly integrated into daily life, and lacks a focus on long-term outcomes. A new treatment model would be preventive, ongoing, and consider individuals’ other health issues. 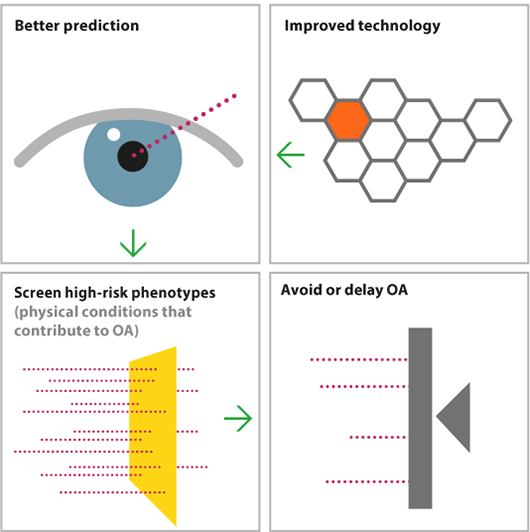 Also, improved diagnostic tools and updated guidelines would help diagnose OA earlier. Non-medication interventions, such as education, exercise, joint protection, social support, and weight control would become the treatment norm. Regain the balance between cartilage breakdown and buildup. Is There a New Treatment Paradigm? Skin and joint features that are characteristic of the disease. Creating an effective, thorough and practical treatment plan upon diagnosis of PsA. New medications in the pipeline for treating PsA. Of note was the link between metabolic syndromes (e.g. obesity, insulin resistance) and psoriatic arthritis. For example, obesity is not only a risk factor for PsA, but obese patients are less likely than someone of a healthy weight to achieve minimal disease activity (MDA) criteria while taking a tumor necrosis factor (TNF) inhibitor medication. Weight loss significantly improved the response to medication—after 6 months of taking an anti-TNF, a greater than 10% weight loss was associated with a better chance of achieving MDA. Future psoriatic arthritis treatment will be tailored to the clinical features of the disease and associated conditions in an individual patient, as well as to imaging (X-ray, MRI) and biomarker results. Also, it will include determining whether a psoriasis patient is at risk for developing arthritis and to identifying early PsA. One of the highlights of the presentation was the discussion of studies looking at three potential medications to treat PsA, all of which had early positive results. The medications were certolizumab pegol (Cimzia®), apremilast (Otezla®), and ustekinumab (Stelara®). Responses to this treatment were observed as early as the first week. 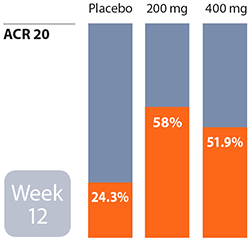 At week 12, 58% of participants achieved ACR 20 at the 200 mg dose and 51.9% at the 400 mg dose. The Health Assessment Questionnaire Disability Index (HAQDI) score also improved. The HAQDI evaluates changes in the physical function of people living with psoriatic arthritis. 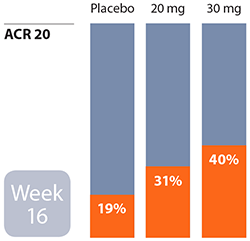 At week 16, 31% of patients achieved ACR 20 (20% improvement in tender and swollen joints according to the American College of Rheumatology criteria) with a 20 mg dose. 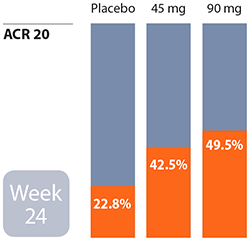 With a 30 mg dose, 40% of participants reached an ACR 20 in the same time. The major adverse events were diarrhea and nausea, which resolved over time. At week 24, improvements in dactylitis (inflammation of fingers), enthesitis (inflammation of tendons or ligaments where they insert into bone), and the HAQ Disability Index were seen. Overall, it was found to be effective for skin and musculoskeletal inflammation that occurs with PsA. Out of 409 patients receiving the medication, there were two who developed erythroderma (skin inflammation) and one who experienced cardiovascular arrest. is now considered to be one of two types of axial spondyloarthritis (axSpA). The other is non-radiographic axial spondylitis (nr-axSpA). The latter disease is considered to be an earlier form of AS (even though it may not become AS later) before structural changes to the sacroiliac joints show up on an X-ray. Otherwise, the signs and symptoms of the two diseases are similar. in anticipation of coming changes to provincial formularies that will take the new definition into consideration.